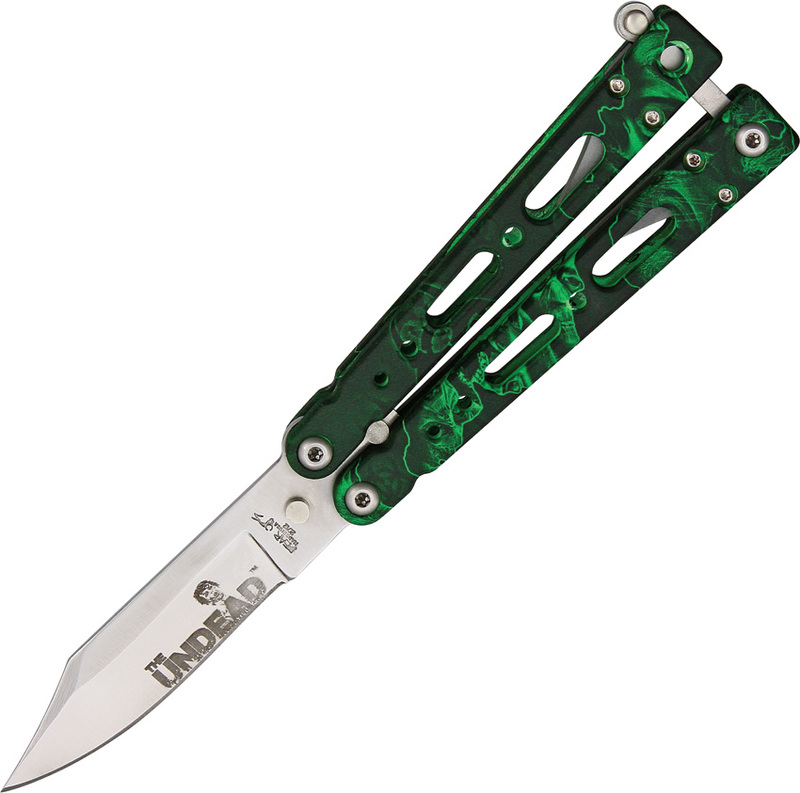 Bear Ops BC37001 Undead Series Bear Song IV Knife - 4 1/4" closed butterfly knife. Satin finish 14C28N stainless bowie clip blade with dual thumb studs. Blade features "The Undead" blade etch. Reaper Z aluminum handles with drilled and slot cutout design.